Instead of re-telling the stories of a schoolboy and his menagerie of colorful woodland friends—Tigger, Piglet, Eeyore, Rabbit, Owl, Kanga, Roo, and Winnie the Pooh—and their adventures in the 100 Acre Wood, this movie starts where the animated film ends: with Christopher Robin and Winnie the Pooh’s last day together, and him bidding a tearful good bye to his friends as he leaves for boarding school. The opening of the movie shows what happens next: boarding school, graduation, meeting a girl, marriage, serving in the front lines of World War 2, coming home, and trying to make a living with his wife and daughter in trying economic times. Along the way, Christopher Robin’s forgotten about his—in this movie, totally real—childhood companions, as well as the virtue of laughter and play. So intent on working is he that he misses out on the joys of life. He works out of necessity, it must be pointed out, not for love of money. He skips holiday with his wife and child because he’s threatened with being sacked if he does not, then he spends the weekend crunching numbers trying to cut costs so he can save the jobs of his co-workers. He is working hard for the right reasons, but has let those reasons gradually lead him away from his family and from living well. He is blinded to what might give him joy, and his joylessness affects those around him. Enter Pooh, who drags him back to the 100 Acre woods for a charming adventure with his old friends which helps him re-center his life a bit. The trailers made this look like another cookie cutter anti-bourgeoise, anti-business tract: “Working in factories destroys your soul! Everyone should become a rock star!” True, the movie features a callous and self-centered boss, but he’s actually the son of the business owner, who’s a much more reasonable man. And the solution, in the end, isn’t to turn on, tune in, and drop out, but for the company to expand its business by catering to new markets. This movie isn’t an attack on hard work and the free market, because working hard to sell to the market is what saves his co-workers’ jobs (and impresses the boss, in all likelihood meaning Christopher Robin has a brighter future because of his hard work). The movie is sentimental, warm-hearted, and entirely free of the bitterness and virtue-signaling so prevalent in modern movies. There are no risque or tasteless jokes; the dad isn’t a moron or fool in dire need of being set straight by his all-knowing wife (isn’t quite that, she’s upset that he spends too much time working, for good reason, but then again he has good reasons for working too hard as well); the parents love their children, and children love them right back. Present-day politics are entirely absent, there’s no obvious stand-ins for current political figures or issues, and in eschewing today’s politics, it gives the movie a chance to attain timelessness. I am incapable of judging whether or not children would like the film, although I think they would because children these days have an insatiable appetite for absolute trash (including a children’s TV series based around making Halloween themed cupcakes and also Mario something or other Let’s Plays), but it is a family film through and through and worth taking the family to see. 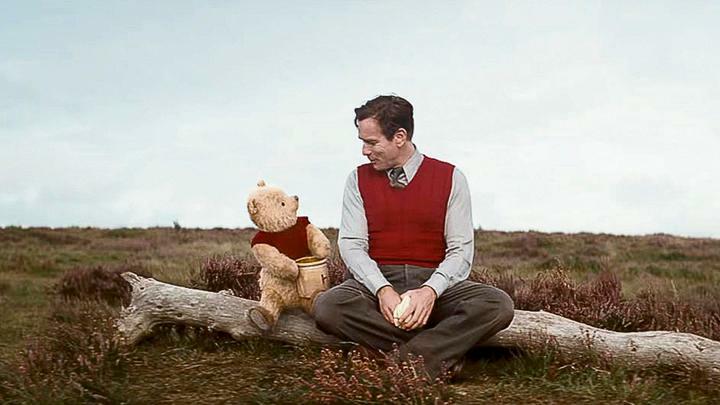 <em>Christopher Robin</em> isn’t completely rotten, and that’s good enough for me. But why do we have to get passed their flaws? Why can’t we have nice things anymore? I think you maybe took the headline more seriously than I intended. It’s a good, heartwarming family movie. There are many movies that are better, but there’s nothing wrong with it. I recommend it for people who enjoy this sort of thing. Sounds great. I really like simple, “feel-good” movies like this, and Hollywood hasn’t had a movie quite like this one in too long a time. I’ll have to re-watch the original before this to re-familiarize myself with Winnie the Pooh, but I’m definitely trying it out. The point stands, though. The mere fact that we *all* saw that headline and nodded safely, before reading the rest of the article, says something rather painful. “nodded SAGELY” Curse you, autocorrect! A safe assumption nowadays is that anything coming from Hollywood, even high quality stuff, will be full of SJW crap. When we get something different, it’s a surprise. We’re like a fat kid in middle school who’s grateful for every day he gets to keep his lunch money. So, this sounds like a nice, decent, heartwarming movie which is good news. The fact that it’s an exception and a surprise is what’s bothersome.